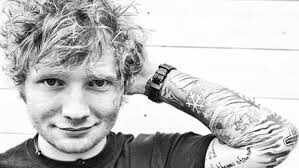 Ed Sheeran deserves this prestigious award because he is a self made musician who started his career by playing guitar and singing on the streets of London. He also writes his own unique songs which is uncommon for current day pop artists. Lastly, Ed should receive this award because he uses his musical abilities to inspire others and is a good role model. Fun Fact: He has over 100 tattoos.